The IRS Commissioner John Koskinen has spent a lot of time on Capitol Hill this past week answering questions about the Internal Revenue Service’s targeting of certain political groups and the ongoing Congressional investigations. Depending upon your political persuasion, you probably see this as a potential conspiracy deserving investigation, or you think this is nothing more than political grandstanding in an election year. Beyond the political theatrics, which are part of all Congressional hearings, there are some serious issues involved, not the least of them is the Service’s response to Congressional inquiries. While you may disagree with the premise and conduct of the investigations and hearings, the IRS’s response is troubling, irrespective of political affiliations or leanings. As an American taxpayer, do you think you could handle an IRS audit the same way the IRS is responding to Congressional inquiries? The timeliness of providing documentation to Congress has been a point of contention. The investigation started over a year ago, yet some documents still have not been produced. The biggest bombshell hit last week, when the IRS informed Congress it could not provide some of the e-mails from Lois Lerner (the IRS official at the center of the controversy who has pled the 5th Amendment at two different Congressional hearings) due to a computer crash. They noted that six other employees also involved in the investigation experienced computer failures and lost e-mails during the same time period. Despite knowing about these computer issues in February, the IRS didn’t notify Congress until June, but notified the Treasury Department in April. Everyone has probably encountered computer issues and lost information before. That’s understandable. However, the IRS has strict documentation requirements for taxpayers. You are required to retain your documents for at least three to seven years; sometimes longer. An IRS auditor can disallow a deduction if you don’t have the appropriate documentation. Imagine telling an IRS agent you can’t produce the requested documents because of a computer crash and you destroyed the backups. Consider how skeptical the agent would be if you knew about it early in the audit process, but waited for months before disclosing it. Do you think the agent would take your word that all is okay and move on? 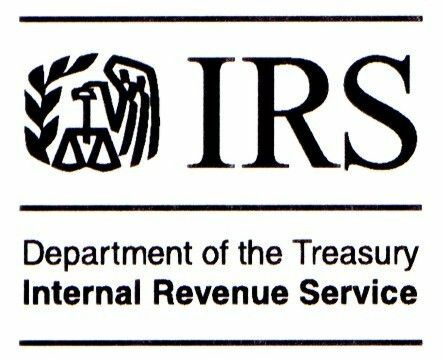 The IRS is also contending it doesn’t matter that some of the e-mails have been lost, as they cite the thousands of documents they have provided. This is analogous to providing boxes of receipts to substantiate your business expenses, but not providing the ones for your personal vacation you deducted as a travel expense. You can argue with the agent that the mounds of unrelated documents prove everything is legitimate, but it may not be. Furthermore, the agent is under no obligation to simply take your word for it. In a tense exchange between Commissioner Koskinen and South Carolina Congressman Trey Gowdy, the Commissioner stated there was no criminal wrongdoing by anyone at the IRS. Congressman Gowdy, a former federal prosecutor, asked what federal statutes Mr. Koskinen had reviewed to determine no criminal wrongdoing had occurred. The Commissioner responded that he hadn’t reviewed any laws. Instead, he was relying upon common sense that nothing inappropriate occurred. Try using the common sense argument with the IRS. No Mr. IRS auditor, I don’t know what the law says about reporting that income or deducting those expenses, but relying upon common sense, it must be okay. Certainly the IRS agent will agree with your common sense approach and ignore the tax code. All of the IRS officials’ testimony seems to project an attitude that we’ve done nothing wrong; trust us; now leave us alone. In his recent testimony, Commissioner Koskinen’s demeanor appeared brash, indignant and borderline arrogant when responding to questions. Some of his supporters cheered his behavior, and thought he was standing his ground while being bullied by the Republican interrogators. While no one deserves to be disrespected or berated, the Commissioner showed no sense of remorse for anything and projected an aura of annoyance that he was being questioned. Again, you should put this in context of an IRS audit. Imagine meeting with an IRS agent and displaying the same type of defiant attitude. Theoretically, IRS personnel should conduct themselves in the same manner no matter how you act or what you say, but do you honestly think that’s true? A basic understanding of human nature tells you that a contentious and condescending attitude will cause the auditor to be more suspect and less lenient in accepting anything that’s questionable. Therefore, the next time you are audited by the IRS, consider employing the IRS defense strategy. You can be brash, indignant and uncooperative because you’ve done nothing wrong, and the IRS is responsible for wasting your time and taxpayers’ money. On second thought, maybe this isn’t a very good defense and could cost you a lot of time and money in the long run. However, if it works for the IRS why shouldn’t it work for you? Furthermore, if this is how the IRS acts when it’s scrutinized, why should taxpayers be expected to act differently? The recent IRS scandal involving targeting of certain conservative groups applying for tax-exempt status is troubling on many levels. The more questions asked and the more information uncovered, the disconcerting it gets. Aside from the potential abuse of governmental authority or violation of civil liberties, the lack of information, knowledge and candor by the IRS officials testifying before Congress is incredulous. Former acting IRS Commissioner Steven T. Miller could only muster a meek apology for not providing good customer service to the affected groups when he testified. In addition to Mr. Miller, multiple IRS officials have testified before Congress over the past three weeks. When questioned about who was responsible for this additional scrutiny, the same basic response is offered every time, “I don’t know. Without sounding overly critical, their response is lame. The initial response from the IRS and White House blamed two rogue employees in the Cincinnati, OH Service Center. Doesn’t it make sense you might know the names of the individuals if you say its two people? Even if someone didn’t know their identity at the time, I think you could track them down in three weeks. Additionally, the Treasury Inspector General for Tax Administration (TIGTA) investigated this practice for nearly a year before the report was made public. Why wasn’t the TIGTA able to determine who was involved? As some of the groups targeted by the IRS have come forth, it is obvious involvement went beyond two low-level employees in Cincinnati. IRS inquiry letters have been produced from multiple locations, signed by various individuals, including Lois Lerner, the head of the IRS Exempt Organizations Division responsible for approving these applications. These are not low-level employees who are testifying. They are highly paid professionals responsible for the direction and operations of the IRS. It’s not realistic for them to know everything happening at the IRS, but it is their job to find out. Professing ignorance and blaming subordinates is not commensurate with they pay and position. As someone who interacts with the IRS on a continual basis and has responded to countless IRS inquiries and audits, telling an IRS agent “I don’t know” isn’t sufficient. You may not know the answer at the moment, but you have to find out. When you meet or talk with an agent, you’re supposed to be prepared to answer their inquiries. Justifiably, IRS personnel get frustrated and annoyed if you can’t answer many of their questions and everything is delayed. The IRS sends you a list of questions or inquiries ahead of time. While Congress may not provide a list of questions in advance, questions like “How did this happen?” or “Who is responsible?” seem rather obvious. To appear before Congress without any ability or intention of answering those questions is mystifying. As some Members of Congress have already pointed out, the IRS should be held to the same standards of cooperation and responsiveness they expect from the U.S. taxpayers. If “I don’t know” won’t fly with the IRS, “I don’t know” shouldn’t fly for the IRS. 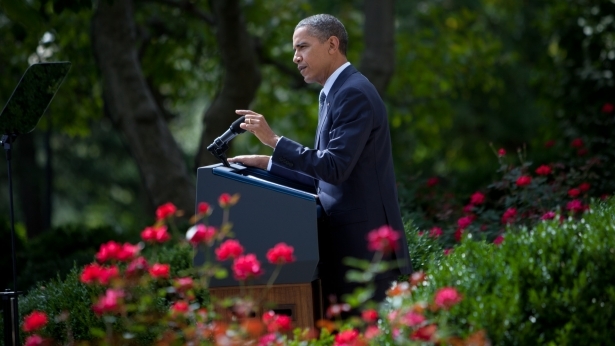 On Monday President Obama unveiled his deficit reduction plan. In addition to reducing the deficit, he outlined his ideas to pay for the American Jobs Act he proposed two weeks ago. No surprise his plan includes tax increases on more wealthy Americans. Phrases such as “shared sacrifice” and people paying “their fair share” make for good sound bites. However with Washington, the challenge is often deciphering what their pithy sayings mean. He referenced the “Buffett Rule” as one of his proposals. It’s named after Billionaire Warren Buffett who has been rather outspoken about the need to raise taxes on the super-wealthy. Cueing off of a New York Times op-ed piece written by Mr. Buffett a few weeks ago, the Buffett Rule is supposed to make sure people who make over $1 million a year will pay a higher percentage of their income in taxes than someone who makes less than the $1 million threshold. You may agree or disagree with the concept of the Buffett Rule. Regardless if you think it’s a good idea, I have three primary issues with the proposed Buffett Rule. Additional Complexity. As a tax professional, I can attest that the tax code is exceptionally complex and at times unwieldy. With the myriad of deductions, exemptions and exceptions, it will be virtually impossible to make sure some making over $1 million will pay taxes at a higher rate than someone making less. Everyone’s tax situation is unique, so it’s near impossible to offer such a guarantee. It may sound simple, but it’s going to be very difficult to achieve. Increased Tax Avoidance. While it may be good for those of us in the tax business, I can assure you that there will be a host of tax professionals looking for ways to minimize the tax liabilities of their clients under whatever new rules are enacted. It’s simple economics. The higher the tax rate, the more cost-effective it is to pay someone to find strategies which minimize your taxes. You may have your opinions about what’s fair and right, but there is nothing illegal or immoral about structuring your affairs to pay less tax. Tax evasion is illegal, but tax avoidance is not. As I recently wrote, if you personally feel like you aren’t paying your fair share, then I would encourage you to make a voluntary contribution to the U.S. Treasury. Trust me… they’ll take your money. Political discourse and debate are fine, but it’s wrong to castigate someone who is abiding by the law because you don’t think the result is fair. Unintended Consequences. Congress has a lousy track record of using the tax code to target certain persons. The Law of Unintended Consequences often kicks in, and the negative ramifications are often much more detrimental than anyone anticipated. Two great examples come to mind; one recent and one from decades ago. The 1099 reporting provision included in the health care reform is the most recent Congressional bumbling. As soon as it was passed, it became clear the administrative nightmare would far exceed any benefits obtained. Fortunately, Congress repealed it before it became effective. 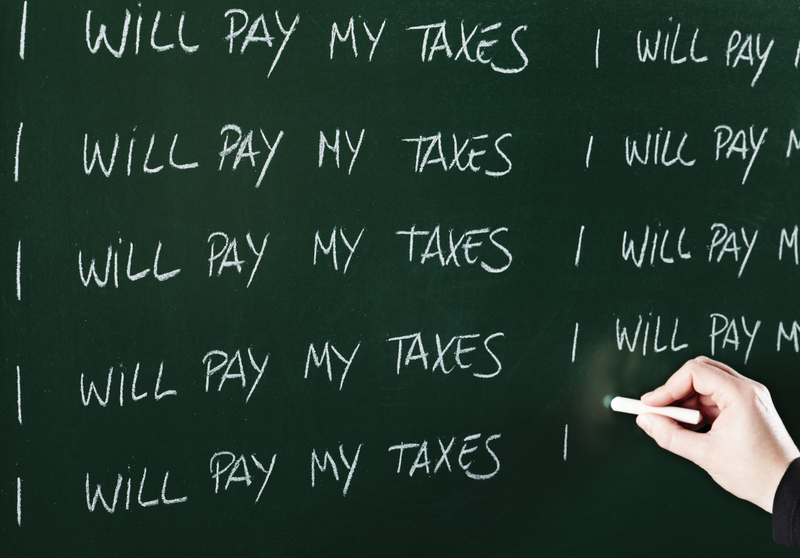 The Alternative Minimum Tax (AMT) is the classic example of unintended consequences. The AMT was enacted in 1969 to tax 155 wealthy families who were viewed as not paying their fair share. By 2008, 3.9 million taxpayers were subject to AMT, and 27% of them made less than $200,000. This probably isn’t what the 91st Congress had in mind. The Buffett Rule may cause some wealthy people to pay more in taxes, but if history is a predictor of the future, the long-term results will be much different than expected. Such targeted tax policy generally hasn’t yielded the desired results. I’m not sure why they think the Buffett Rule will be any different. 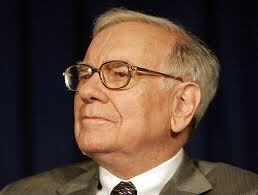 Billionaire Warren Buffett made headlines last week with an opinion article he wrote for the New York Times. His statement “My friends and I have been coddled enough by a billionaire-friendly Congress” attracted a lot of media attention and discussion. In writing, “It’s time for our government to get serious about shared sacrifice” you can deduce his apparent attempt to sway public opinion and encourage Congress to increase the tax burden upon the wealthiest individuals in the country. He generally described the targets for the additional sacrifice as those making over $1 million each year, but he didn’t offer specific proposals or suggestions of what additional sacrifice they should be required to make. In the article, Mr. Buffett disclosed his 2010 tax liability of $6,938,744, which he said was 17.4% of his 2010 income. It’s a hefty sum; not surprising for one of the world’s richest men. Most of us would be happy to earn $6,938,744 in our lifetime, let alone pay that much in taxes in one year. I have no qualms with Mr. Buffett sharing his opinion and participating in the debate over U.S. tax policy. It’s part of his First Amendment rights to free speech. Hypothetically, I would ask Mr. Buffett one question… if you believe your taxes are too low, what’s stopping you from paying more? If Mr. Buffett thought $6,938,744 was insufficient or not his fair share, what prevented him from paying more? I contend the only thing preventing him from paying a greater sum was himself. If he chose, Mr. Buffett could have voluntarily added to his 2010 tax liability whatever additional amount he thought was fair. The U.S. Treasury would have gladly accepted his additional contribution. His tax liability of $6,938,744 is a rather exact number. While not explicitly stated, it’s implied this was the statutory amount he was required to pay. Thus, he paid the minimum amount he was legally obligated to pay, which is what everyone does, irrespective of their socio-economic status. I may be cynical, but I know many wealthy people who advocate for government spending and programs, yet are constantly trying to minimize their personal tax liabilities. There is nothing wrong with minimizing your tax liability. It is part of what I do for people on a daily basis. However, I see a tinge of hypocrisy when you think others should pay more tax, yet look for “loopholes” for yourself. I think Mr. Buffett’s credibility in advocating for higher personal income taxes would be bolstered if he chose to make a voluntary contribution above and beyond the minimum required tax liability. His convictions would be demonstrated by his actions and not just his words. Do Rich People Pay Taxes? What do you think… do rich people pay taxes? Here is a quick answer… Yes! You may not think that they pay enough, or their fair share, but let me assure you that rich people pay taxes. Having practiced public accounting for over 20 years and dealing with millionaires and billionaires, I know they pay taxes. A select few pay more income tax in one year than the average American will make in a lifetime. When you look at the statistics, it’s actually low-income people who don’t pay income taxes. Despite the facts, it makes great headlines to claim that rich people don’t pay taxes. Last week, a CNNMoney article reported that 4,000 millionaires didn’t pay any federal tax in 2010. The Tax Policy Center was their source of information. Since I’m always looking to learn and stay abreast of innovative ideas, I read the article hoping to glean something useful. Not surprising, the details of the article didn’t exactly support the headline. Here are a few points of contention and contradiction that I noted. Although the article references 2010, it’s unclear how they can make claims about 2010. The IRS is still processing 2010 returns filed a few weeks ago. Plus, many high-income taxpayers’ returns are on extension until October 15, 2011. They don’t cite the source of their statistics, but it certainly isn’t the IRS. The exclusion of municipal interest income from federal income tax was mentioned as a prime example of how millionaires avoid paying taxes. This is not a tax break for the wealthy. All interest income from municipal bonds is exempt from federal taxation, irrespective of your wealth or tax bracket. The contributors failed to mention that this not a tax issue. It’s a Constitutional issue dealing with the sovereignty of the States. If Congress could tax municipal interest income, I’m suspect that they would. The mortgage interest deduction was another. This is completely bogus. You can only deduct interest on $1.1 million of mortgage debt. Even if you were paying an incredibly high interest rate of 10%, your mortgage interest deduction would be $110,000; far short of being able to shelter $1 million of income each year. Charitable contributions were listed as another possibility. This is a little better than the mortgage interest deduction, because you can deduct up to 50% of your adjusted gross income to certain qualified charities. It may get you closer to eliminating your tax liability, but it’s still only 50%. Furthermore, you have to give the money away. The tax savings might make it more affordable to give, but you’re still out the economic value of what you contributed. Foreign tax credits are also cited. Generally, you are allowed a credit for taxes paid to another jurisdiction on income that is also taxed in the U.S. It’s supposed to prevent you from being taxed twice on the same income. There are limitations on foreign tax credits which make it extremely difficult to eliminate your U.S. tax liability with foreign tax credits. Even if it is possible, you’re still paying tax, just not to the U.S. Furthermore, you would have to pay more to the foreign jurisdiction than the IRS to avoid the imposition of U.S. taxes. Since tax information is personal and private there no actual examples cited. These were the possible strategies that the contributors cited. In reality, this article is a headline searching for a story. None of the examples given are really “loopholes,” nor do they support the notion that millionaires receive special treatment to avoid paying taxes. Such articles may seem benign, but I disagree. Whenever one class of people is able to avoid paying taxes (whether real or perceived), it can provide justification for others to be dishonest in filing their taxes. Additionally, misinformation can easily lead to tax policy with unintended consequences. The Alternative Minimum Tax (AMT) is a great example. The AMT was enacted in 1970 to target 155 high-income families who supposedly paid no federal income tax in 1969, but today, millions of middle-class families are subject to AMT. A provision originally designed to snare the “rich people” is now being imposed on many middle-class families. It might make a great headline to suggest that wealthy people don’t pay income taxes, but it’s not really true. There is no magic to avoid paying taxes. More often than not, rich people pay income taxes. If you’re still not convinced, become wealthy and see what you find out. Americans are some of the most generous and charitable people in the world. According to a report by the Giving USA Foundation, Americans gave over $300 billion in 2008. Your primary motivation for giving to a charity should not be saving taxes, but if you are going to give, you might as well reap whatever tax benefits are available. Like many areas of tax law, a seemingly simple subject can become complex rather quickly. There is not enough room to cover all of the rules regarding charitable contributions in this short article, but I’ll hit some of the highlights you should be aware of when it comes to claiming a charitable deduction. The first requirement is to make sure that the recipient is a qualified charity. You can give money to any person, group or organization you want, but it may not qualify as a tax deduction. Click here to search the IRS list of officially recognized charities. Gifts to individuals are not charitable contributions. You may want to help someone recover from a natural disaster or medical condition, but your gift isn’t tax deductible. You can’t circumvent this rule by giving money to a charity that is specifically designated to an individual. Be advised that there are limitations on the amount of charitable deductions you can claim in any one tax year. The limitations are 20%, 30% and 50% of your adjusted gross income. The percentage limitation is determined based upon the property you are giving and the nature of the charity. Any unused contributions can be carried forward for 5 years. You can receive a deduction for cash or property donated. Although your services may be invaluable, they aren’t tax deductible. One of the biggest issues of donating property is determining the fair market value. You may be able to get away with your best guesstimate when donating clothes to the Salvation Army or Goodwill, but it gets much more complicated for more valuable items that may not be easily valued. You can receive a charitable deduction for out-of-pocket expenses you pay on behalf of a charity. 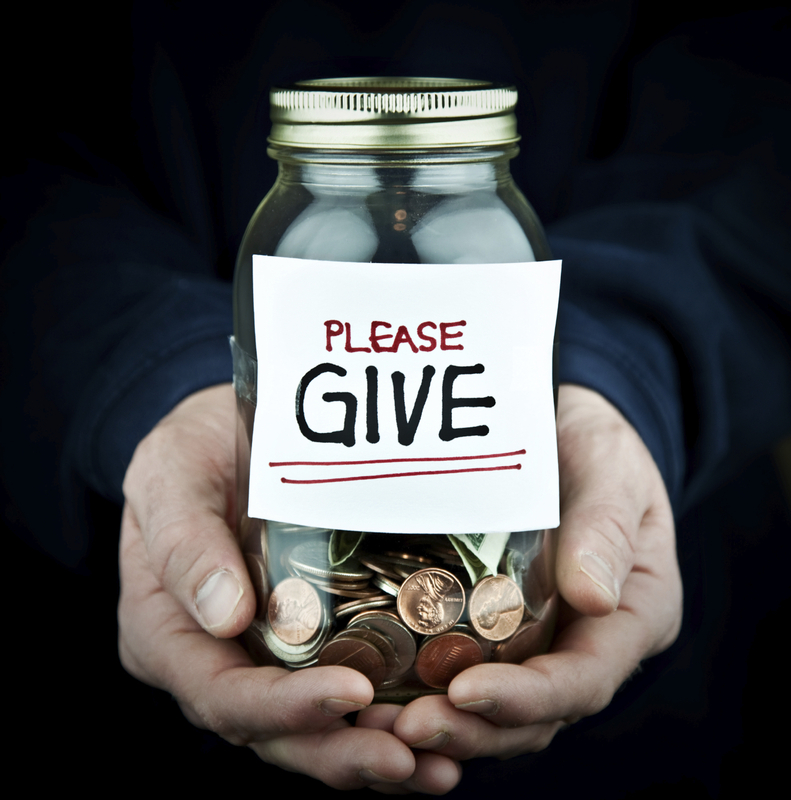 It may be preferable for you to give cash and have the charity reimburse you, but this may not always be feasible. In any event, you must be able to demonstrate that the expenses were incurred for a charitable purpose and not your personal benefit. Travel expenses can qualify, but it can’t be a clever way for you to deduct your vacation expenses. While you may be an honest and trustworthy person, the IRS can require you to substantiate your charitable contributions. Your word may be good, but it won’t work for cash donations. You either need to have a receipt from the charity or a copy of a canceled check. Most public charities will provide you with a statement no matter how much you give, and they are required to provide you with a receipt if you give over $250 in any one gift. The charity must also indicate if you received any substantial benefits for your gift. You may give $1,000 to your alma mater, but if you receive sporting event tickets worth $200, you can only deduct $800. These are just a few of the requirements for deducting charitable contributions. Consult a tax advisor if you have questions about your particular situation. Savings taxes will probably not motivate you to make a contribution, but it can make it less expensive or allow you to give more. Either way, don’t overlook the tax savings that can be derived from a properly documented charitable contribution.